When we released the original Brain+ app back in July, the app was in its most basic form. Why did we do this? Well, we wanted to release a minimal, viable version of the platform and exercises to be able to listen to feedback and ideas from all of you. We have been doing exactly that since the original release. The platform and exercises have already gone through several rebalancing and tweaking iterations based on data and feedback from you and from professional scientists. However, the time has now come for the app and the exercises to be taken oto a whole new level. Soon we will release a massive update of not only the look and feel of the platform, but also the quality of visuals and usability of the exercises. Fresh Frog – Our newest brain training exercise is all about planning and predicting outcomes. Fresh Frog has been developed with a completely new level of quality in mind, leveraging best practices from the video game industry in both visuals, audio and game design. You can expect this new, higher level of quality from all future Brain+ content additions. When Fresh Frog becomes available for you to play, it will not provide CPI changes initially. We will collect data for a brief period and then use this data to perform final tweaking and balancing. Once perfectly balanced, CPI change functionality will be activated. 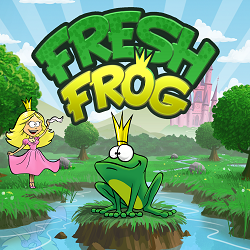 We would love it if you would play Fresh Frog, rate it and provide us with feedback on your impressions. Feel free to evaluate everything you see and hear – everything that comes to mind. When you do that, you help us towards making the best possible brain training experience for you! Challenge your friends – Behold, for we have implemented an asynchronous multiplayer challenge system! Simply put, the system allows you to challenge a Facebook friend to beat a score you have achieved during a play session (training or free play) in one of the Brain+ games. You define how long you want the challenge to last, which could be anything from a couple of minutes to several days. 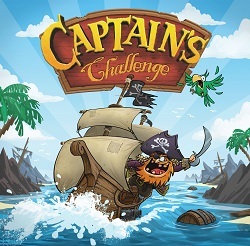 It is of course possible to have multiple challenges active simultaneously and your score will update as you play exercises like you normally would. The challenge system is currently in its most basic state, and we will continue to expand with new features. As with everything else in the app, we would love to hear your feedback. A new training program system – We are updating the training program functionality to be a more intuitive guide on your path to higher brainpower. Existing games will receive a makeover – We are providing the earlier games with more immersive and exciting visual looks and sounds to further enhance your training experience and make the visual quality of the existing exercises match newer content. New exercises – More exercises are in the works! In the wake of Fresh Frog’s final quality polish, we will continue to add new exercises. Similarly to Fresh Frog, these exercises will start out in a very basic version and your feedback will help guide the content along. More specific information on these games will follow in the future. Reward & achievement system – We are working on a system that will reward you for completing special challenges and reaching specific milestones which will be introduced next year as well. More details on this will arrive later next year. Alongside all the content changes, we will adjust the subscription fees as well to reflect the value, content and quality increase. You, our loyal first-movers, will have a unique opportunity to pre-purchase subscription time at the current lower prices for however long into the future you desire. Acquiring subscription time prior to the adjustment will guarantee you access to all the new features, updates and additions for however long you decide to purchase, but at a much lower rate. 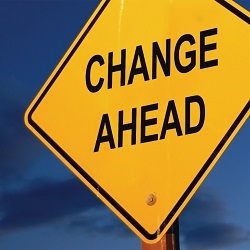 We will provide specifics about the changes in an upcoming newsletter. As an added bonus, all users who subscribe prior to the transition date will be rewarded with the unique title of ‘Founder’. 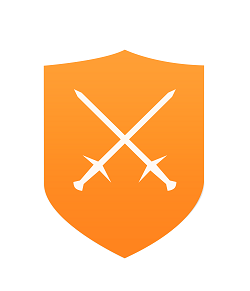 This title will become usable and available to display on the user profile as soon as we introduce the aforementioned reward & achievement system later in 2014. This unique user title will only be available by subscribing prior to the big Brain+ update and will provide you a one-off opportunity to flaunt your early involvement and commitment to training your brain. Be aware that this opportunity never will arise again! Thank you all and happy training! Measuring Intelligence – What is in an IQ Test?